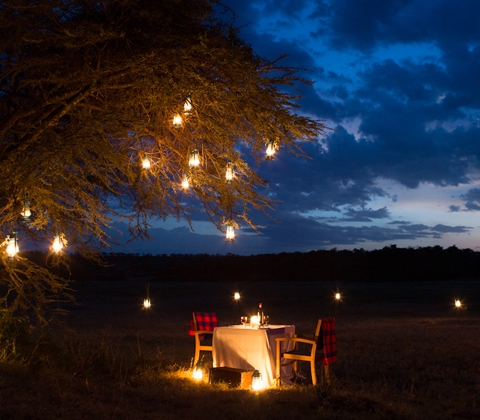 Mahali Mzuri is located in the Motorogi Conservancy‚ just north of the Maasai Mara National Reserve‚ and is right in the path of the annual migration. There is also an abundance of resident game all year round both near the camp and also a short distance away by vehicle. At Mahali Mzuri you're so close to the action that you could join in and play with the baby wildebeests‚ although it is not recommend. There are 12 luxury tented suites catering for a maximum of 24 guests at any one time. Each tented suite will sit on a raised platform and include a spacious bedroom with an en-suite bathroom‚ sitting area and a large deck with views over the landscape - perfect for spotting the game that will almost certainly wander into view! Arrive at Safarilink lounge‚ Wilson Airport for your scheduled morning or afternoon flight to Masai Mara. The flight is approximately 1hour to Mara North Airstip in Maasai Mara. Upon arrival at the airstrip‚ you will be met by a driver/ guide who will transfer you to Mahali Mzuri to check in. After lunch you will depart for a late afternoon game drive or enjoy other activities offered at the camp. You will set out just before sunrise in search of game as you enjoy the richness of the Park's wildlife and endless savannah. 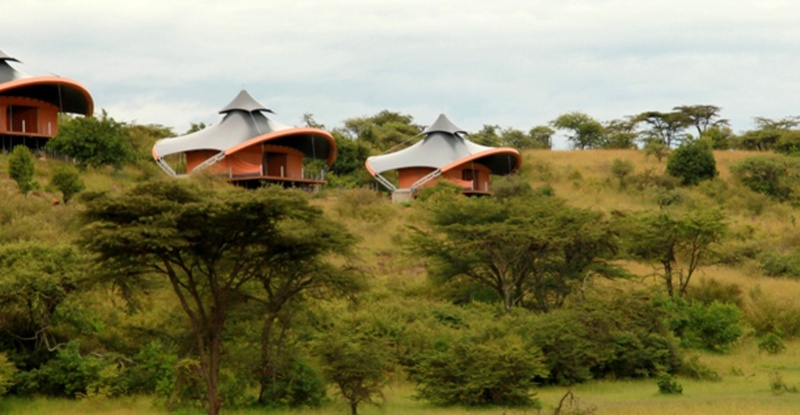 From this state of the art comfortable camp‚ you will explore the park's amazingly high concentration of game. The rolling grasslands of the Maasai Mara offer ideal game viewing and photographic opportunities and the grassy plains are broken by rocky outcrops which are favorite midday resting places for Lions. This is where millions of Wildebeest cross the Mara River from the Serengeti National park of Tanzania to the Maasai Mara Game Reserve of Kenya - an annual spectacular event‚ which brings along thousands of plains game and predators to the Mara‚ making the park a beehive of 'wildlife activities.